I was inspired after my last lunch at Great Sage to try to recreate the pumpkin enchiladas I so enjoyed. They were filled with black beans, roasted corn, and pumpkin and topped with mole sauce. The former seemed simple enough to recreate, but the latter was something I'd never done before. I'm happy to report that my experiment was an incredible success. The enchilada filling is layered with chile-spiced pumpkin, roasted corn, and Better Bean Cuban Black Beans, which are skillet-sauteed with onions and poblano peppers, then it's all rolled up in a sprouted corn tortilla and topped with one of the best mole sauces you'll ever have. I served the enchiladas over a Spanish quinoa with tomatoes and chiles. Absolute perfection. You can start by making your pumpkin filling, which is pretty easy. 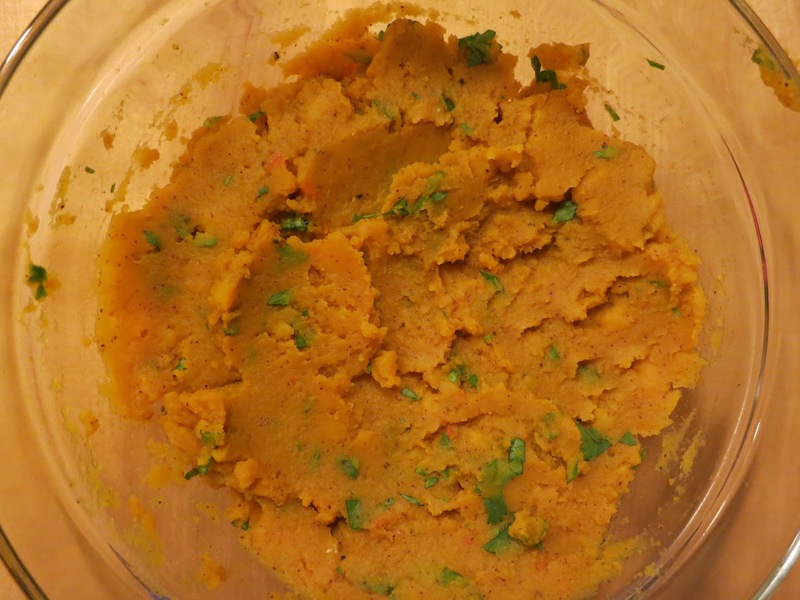 Just mix all of the ingredients (pumpkin, spices, herbs, salt, and optional pepper) together in a bowl. Preheat the oven to 425-degrees. Toss the corn kernels in oil and roast until brown about 25 minutes. Next, bring two cups of water to boil on high heat in a saucepan. Add quinoa, lower heat to medium, and cover. Steep (simmer) for 15 minutes. 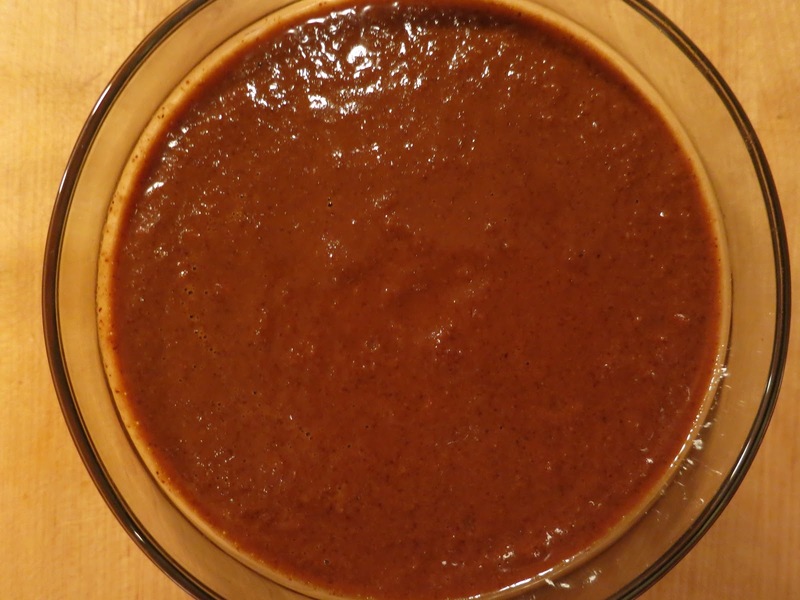 To make the mole sauce, heat the oil in a saute or saucepan on medium heat. Add the garlic, onion, and bell pepper and cook until onions are translucent, about 5 minutes. Add the remaining mole ingredients (spices, cocoa powder, tomato sauce, water, and salt) and simmer, stirring often, for 10 minutes. Transfer the sauce to a blender and blend until the sauce is smooth. Once, the quinoa is fully cooked, mix with chopped tomatoes, chilis, cilantro and lime in the saucepan. Put the lid back on and put it aside. Turn your oven down to 400-degrees. 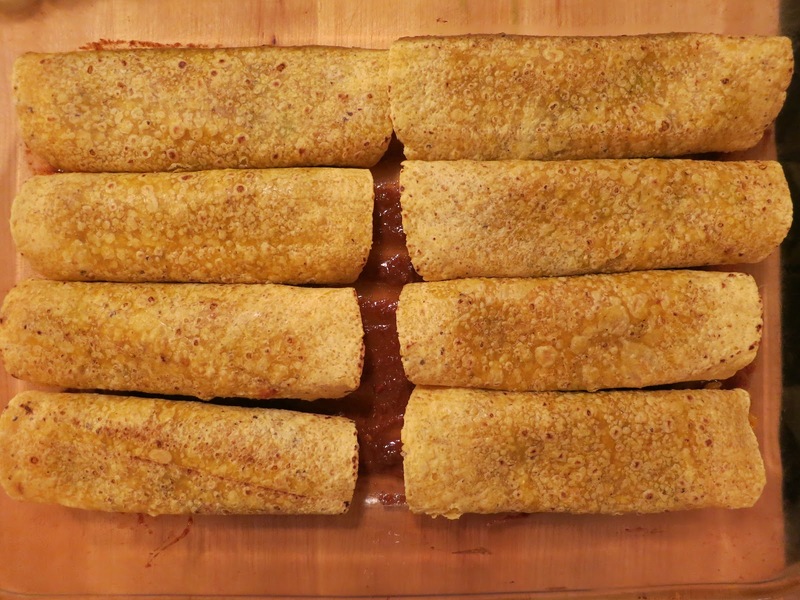 Now you are ready to assemble your enchiladas. I found that I needed two glass dishes for these. One 13 x 9" baking dish and another about half its size. 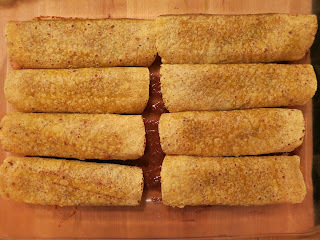 In each dish, put a thin layer of enchilada sauce on the bottom and spread it around so that the dish is coated. Next, heat your tortillas either in a pan on the stovetop or wrap about 3 at a time in wet papertowels and microwave them for about 30 seconds to heat them up so they are pliable enough to work with. 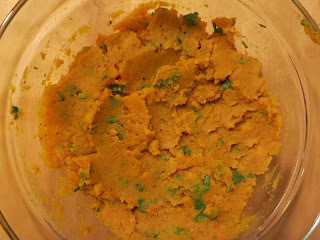 Then, place one tortilla on a plate and scoop 1/12 of the pumpkin mixture onto the middle of it lengthwise. Top with 1/12 of the black beans (they don't need to be warmed), then 1/12 of the corn. Roll and place seam-down in dish. Repeat for all others. 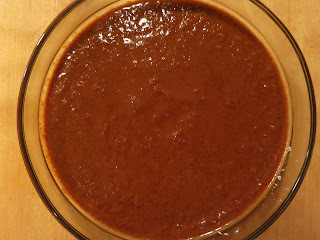 Then, ladle mole sauce over the enchiladas until they are covered, while reserving some of the sauce for topping them later. Cover loosely with foil and bake for 30 minutes. Heat the remaining mole sauce in a saucepan on low heat. In the meantime, if you are preparing fresh guacamole, you should do that now. Once you remove them from the oven, let them cool uncovered for about 5 minutes as they will be very hot. To plate, place quinoa on plate with an enchilada on top. Then, top with a little of the heated mole sauce, guacamole, sour cream, and fresh cilantro. The flavors of the pumpkin and Cuban black beans mesh so well together while the mole sauce just brings this dish to new heights. Two quick notes about products I used that made a huge difference: the first is the Food for Life sprouted corn tortillas (non-GMO). These tortillas were so much more flavorful than your typical Mexican tortilla. They were rich in flavor and true to the corn taste. The Better Bean Cuban Black Beans are skillet sauteed with onions and poblano peppers and bring so much flavor to this dish. As soon as you taste them, you will be wow'd by the intensity of the flavor. And I love them because they come in BPA-free containers, which keeps everyone healthy. I hope you enjoy these enchiladas as much as I did! Perfect for a fiesta! I'm glad I found your blog! My friend (who turned vegan a couple of months ago) is coming over for a visit and honestly, I didn't know vegan recipe. So it's just perfect that I found you (or your page actually). Thank you in advance. Wonderful! Please let me know if you make any of the recipes! I made this last night and everything was great except the mole sauce was SO salty. Are you sure it's 2 teaspoons? I was using regular salt, not sea salt, but that shouldn't make a difference, right? No, that shouldn't make a difference. I did use two teaspoons and I thought it turned out well, but maybe my tomato sauce didn't have any salt added -- that could have made a difference as well. Thanks for letting me know and I'm glad the rest turned out great!